The month’s been a bit of a wonky one. I started out working on Gerod and the Lions, but with NaNoWriMo coming up, I started to work on my outline for my project more and more. That work was all done by hand in my handy-dandy Moleskine notebooks. Handwritten words are a pain to track, so I don’t. I don’t outline like a normal person. Actually, to put it a different way, I don’t think there is a normal way to outline. Everyone will do it differently. I start sketching things out, make notes, what to research, and then I’ll get to a point in the story that I have to figure out a few things. So I’ll leave the “outline” and start on a character’s backstory, because I need to know what it is. Who’s the antagonist? What’s her or his motivation? And then I’ll go back to the outline until the next gap emerges. I’ll deviate to fill it, and so on and so forth. I finished off one notebook and started another. I hope to have time to transcribe my notes before I’m neck deep in word deficits. The blog was my big word-producer again this month. No surprise there. The only other thing I worked on was a short story for a contest. Sadly, I realized too late that the story was double the length of the word limit set out in the contest rules. Doh! Homer moment. I didn’t have another suitable story to offer up, so I let it go. There was an entry fee anyway, and I try not to enter anything with an entry fee these days. Fortunately, I’ve identified another market for the story and, as ever, will try again. Everything else went by the wayside, Initiate of Stone, Apprentice of Wind, Figments, everything. This happens when I get focused. Short stories – 49 words. There was a little additional writing, and a little editing. 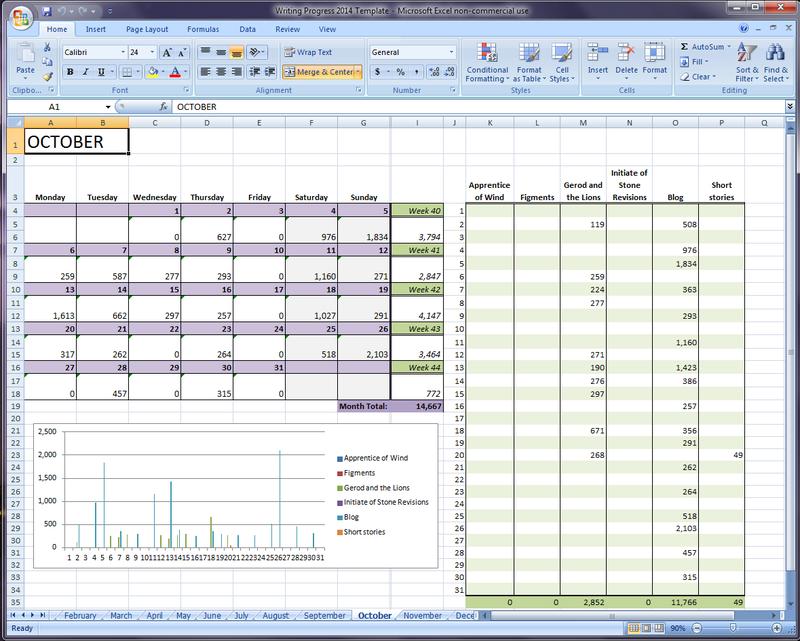 I’ve got the Excel all revved up for NaNo, with an extra project and column for November. Eeeeeeee! Let the writing begin! 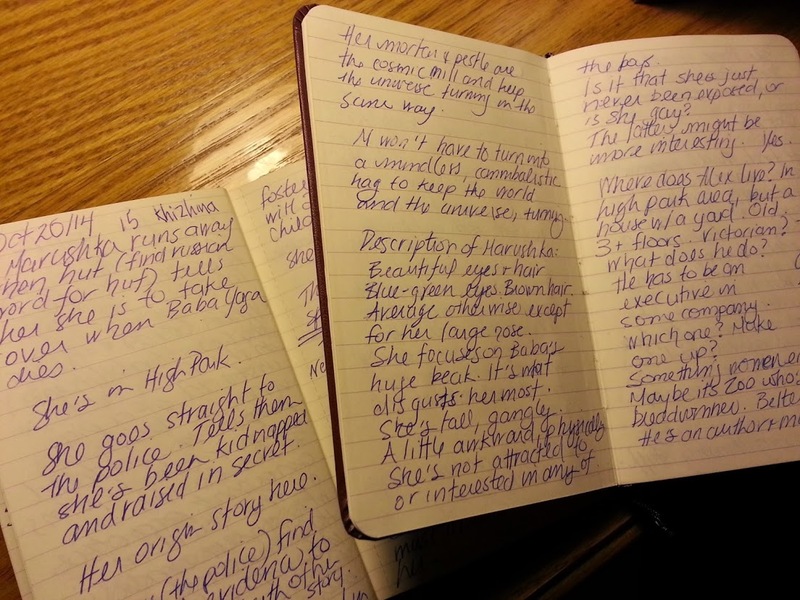 So far, we’re on track for continuing with the blogging, even during NaNo. I hope it lasts, but if it doesn’t, forgive me, won’t you? Anyone else out there doing NaNoWriMo?